PLEASE NOTE: Contents have been updated since original solicit. 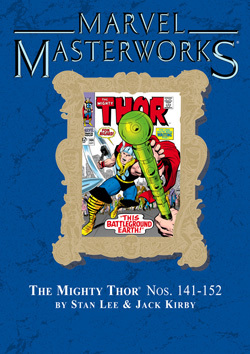 Thor #152 has been added to the contents of Thor Masterworks Vol. 6. Long live Asgard, True Believers! 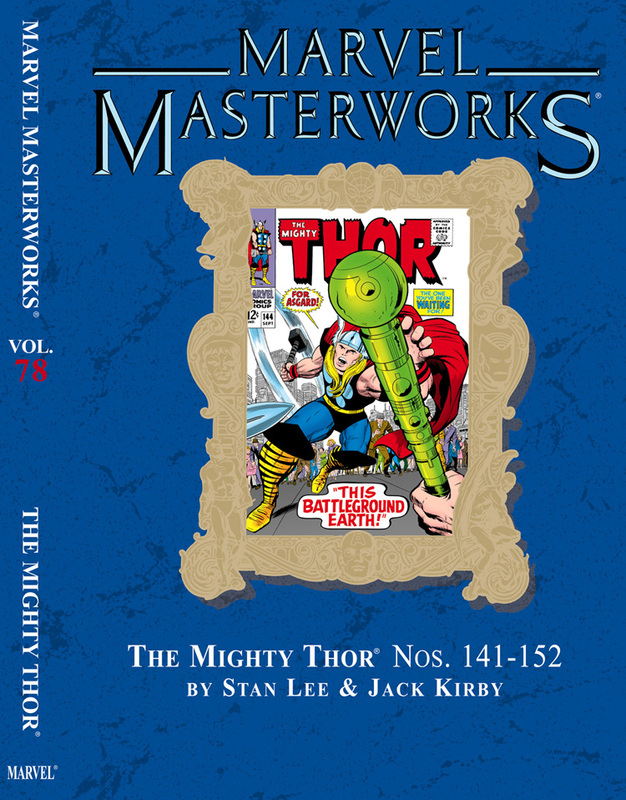 What better way to herald the return of the God of Thunder, than to usher in another Mighty Thor Masterworks! After years of honing the tragedy and intrigue of the Son of Odin, Stan and Jack hit a stride that would produce the most mythic tales in all of Marveldom. 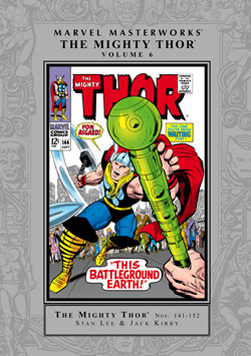 Beginning with a pair of irredeemable uglies, Replicus and the Super-Skrull, the adventure then takes itself up a Norse notch when the evil Loki conspires to have Thor stripped of his power and vanquished to Earth! Stranded there, he must struggle to survive the machinations of his scheming half-brother, while attemping to regain the graces of All-Father Odin. Last, but not least: Enter one of the most beloved baddies in all of the Asgardian entourage: The Wrecker! 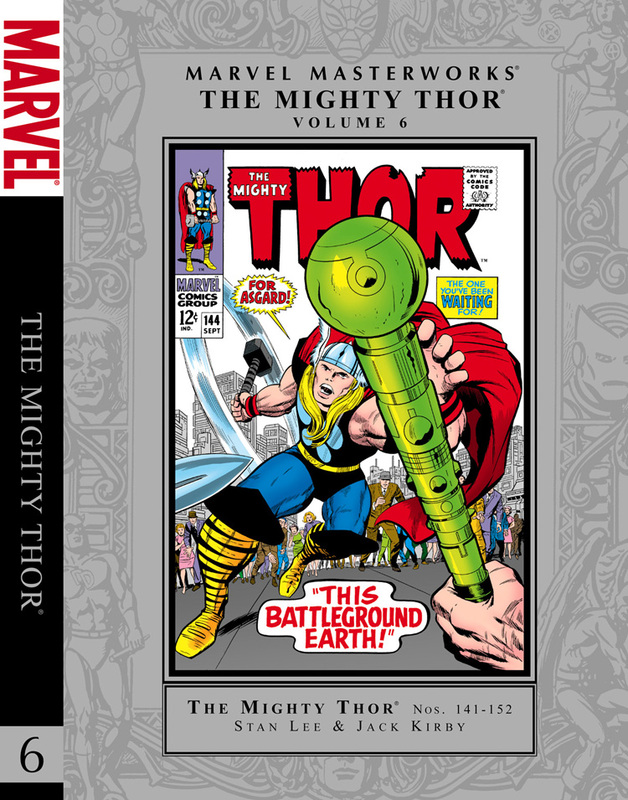 The decidedly mortal Thor must battle to his very last breath against this crowbar-wielding wingnut, who himself is powered with Asgardian might! And just 'cause we hate to close on a quiet note, it all ends in an action-packed finale with back-to-back battles with the undefeatable Destroyer and Ulik, the invincible! It’s drama as only the Masters of the Marvel Age can make it! "....Stan Lee and Jack Kirby were operating at the top of their game, which meant you were seeing the best at their best. Earlier, they’d struggled to find the proper venue for the God of Thunder. Should Thor’s exploits all be set on Earth? They were for a while and it was somehow lacking, especially in the area of worthy opponents. Worthy of a Norse God, that is. Well then, should the tales be set on Asgard? It was a discussion Stan and Jack often had. Asgard meant more wonderment on the pages and a more colorful supporting cast...to say nothing of the fact that Kirby drew the place so darned well. It was tempting to just abandon Thor’s life in this world, especially since the mail kept demanding it. ...but he also understood. You just couldn’t tell gods where to live their lives."